Moshe the Beadle- From the start he knew. Elie Wiesel- We stay together we will survive. Juliek- I died doing what I love. Tzipora- Into the flames, the red coat. Alex Patsell- Be passionate about everything you do. Ms. Galler, I am Alex Patsell and I’m with the Virginia Holocaust Museum. I hope you are doing well, I’m a curator at the Holocaust Museum in Richmond, Virginia. We recently received a donation including many pictures from the Holocaust. I have read your survivor story and I think that we could use your help to gather more information on a picture. Your experiences are very similar to what the people in the picture were experiencing and I would love to ask you some questions. In your story you talk about how you first publicly embarrassed and segregated from the rest of your town and that people who used to be your friends laughed at you and all that you were forced to go through. 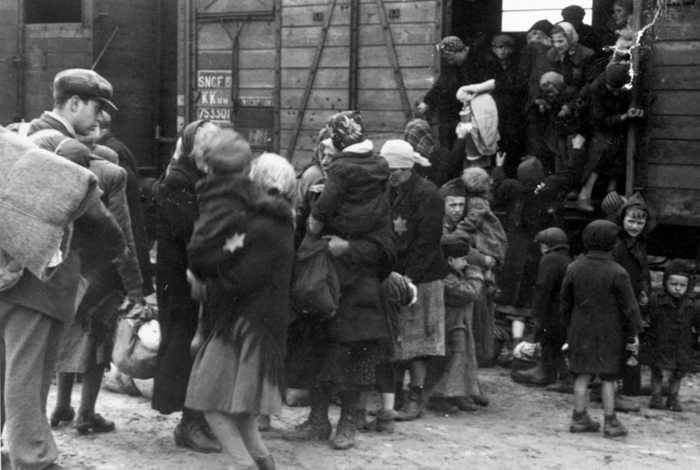 You were then moved to ghettos and forced onto a train. In the picture I am in charge of finding the story for there are many women and children getting on the train. I feel as though this is similar to the experience you went through. You escaped from the train to find that your brother and sister had died also trying to make a daring escape. I feel as though many other survivors can relate to your story. I would like to use your story in the exhibit but I need to ask some questions to fill in the blanks. You were forced to leave your mom, dad and younger siblings on the train, did you know in the moment you left you would never see them again? When you found your siblings dead in the snow and fled to the woods, did it ever cross your mind to see if anyone else was alive? Finally, after you escaped and lived under a fake name, were you scared that people would discover who you really were? Thank you so much for your help with the exhibit. We hope to make our museum as accurate as possible.